Barcelona’s 5-star Mercer hotel changes its restaurant chef yet again. Harry Wieding goes back to basics with a very good menu of produce-led Catalan cuisine. The Mercer’s kitchen seems to have been fitted with a well-oiled revolving door. The late, great Jean-Luc Figueras was the first head chef in 2014. He left before his untimely passing and was replaced by Xavier Lahuerta (see here for my first visit and photos of the restaurant and hotel). LaHuerta also left and the hotel gambled in early 2016 on a more lavish menu under the stewardship of Michelin-starred Italian chef Giussepe Ianotte, who renamed the restaurant Kresios (see my review here). That didn’t last either. Latest in the hot-seat (literally: the kitchen is sweltering) – the third this year – is Harry Wieding. Although born in Germany, he’s lived in Catalonia since he was four years old and has an impressive CV that includes two Repsol Sols at Sant Pere de Bosc on the Catalan Costa Brava (the Repsol guide in Spain is both prestigious and reliable) and recognition as the Young Chef of the Year in 2013 from the Catalan Academy of Gastronomy. The dish that played an important role in winning him that award has been imported to the Mercer and it’s an absolute treat… but I’ll get to that later. The Mercer presents obvious difficulties and obvious possibilities. The hotel is a beautiful, stylish 5-star in the heart of the Old City, with layers of history literally visible in its very walls, from Roman to medieval and modern. It’s glamorous and high-profile, tempting for any chef. It’s also small, and there’s the rub: the restaurant standard has to be 5-star but (I imagine) there isn’t a high enough volume of hotel guests eating in the restaurant to cover the cost of running it. The Mercer (again, this is my own guess) almost certainly relies on diners from elsewhere. That’s fine for Le Bouchon, the street-facing tapas bar of the hotel, but possibly a problem for the Mercer itself, which is hidden away from the eyes of the public. The public should make the effort and seek it out. It really is quite lovely. The dining room would count for nothing, of course, if the food wasn’t up to standard. Fortunately, it is. Wieding has created a €65 tasting menu (a bargain by 5-star hotel standards) that puts produce from the hotel’s out-of-town organic garden to good use. All good, all enjoyable (especially the mussels in escabeche and wild spinach tempura) but not knockouts. The next dish didn’t entirely convince me either (although my wife really liked it). The cod roe on potato foam was pleasant enough but too oily for my taste. But then, oh lord, the dish of the evening. Wieding’s smoke-grilled mussels are his best-known dish and it’s not hard to understand why. This is probably the best plate of mussels I’ve ever eaten in my life. And it’s so, so, simple. Fresh mussels, with a smoky, reduced broth. It’s primeval and ancestral, triggering pleasure receptors that humans first developed on prehistoric beaches. It’s a big flavour, a powerful one, and I’d come back just to eat it again. A single, stubborn barnacle and a cracked shell were all that kept it from perfection. I’m not sure quite how he coaxes such flavour out of something so uncomplicated, but I hope he keeps doing it. The smokiness continued with a beautiful, translucent, smoked prawn. This was more dressed up, more inclined toward fine dining, and equally good, but to be honest I was still tripping on the mussels to fully appreciate it. The local, Catalan, ingredient-led nature of the dishes kept shining through with a ‘sausage’ of chicken (I may be wrong, but I’d guess at Penedès ‘pota negra’) in a rich, onion-y reduction. The dish is redolent of Cal Xim (that’s a compliment) because of the grill, but would be equally at home at any of my favourite Catalan restaurants (think Ca l’Isidre, Tram Tram, Freixa Tradició). The meal finished with aplomb. Another simple, but not easy dish: a hazelnut souffle with vanilla ice-cream and a crunchy line of lime crumbs to add acidity and texture. Well-conceived, well-executed, and devoured with pleasure. Is the third time the charm for the Mercer in 2016? I hope so. I like the hotel and it is a beautiful setting for a restaurant. Some mistakes of the past have been learned from. The old Mercer (both the hotel and restaurant) was always let down by a shortage of staff. That’s been resolved and the current front-of-house team is up to the task (our waiter Jonathan was charming and professional). The overambitious tilt at star-winning fine dining (with prices to match) of Kresios has been swerved back toward a more realistic course. What we’re left with is a small restaurant in a grand setting, with a very talented chef serving ingredient-led dishes executed to a very high standard. It has a clear sense of character, and the prices are as moderate as you will find in a hotel of this standard. The current iteration of the Mercer is one of the best, least-known restaurants in the Gothic Quarter and it is well worth seeking out, whether you are staying in the hotel or not. Mercer Restaurant, Hotel Mercer, C/ dels Lledó 7, 08002 (Barri Gòtic), Barcelona; Tel. (+34) 93 310 74 80, Ext. 705; Metro Jaume I or Liceu. Closed Sundays and Mondays. Looking for other restaurants in hotels in Barcelona? 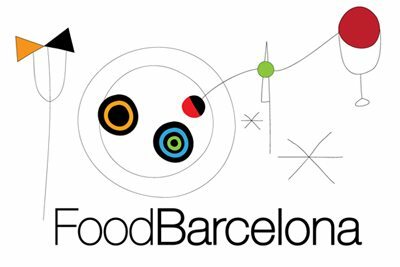 Check out the FoodBarcelona restaurant list. Walking around the Barrio Gótico and feeling hungry? Take a look at the FoodBarcelona map.